Earlier this year I was accosted on the street by a group of folks holding signs with offensive religious slogans and handing out pamphlets. The literature claimed to be a summary of “the real truth in the Bible.” A quick glance showed me the stories of Creation and Fall, and then skipped right to the angel appearing to Mary in Luke 1. In other words, this summary of “God’s Word” skipped passed more than 1300 pages, nearly 90% of the book they consider God’s holy and inspired truth. Sadly, this group of street preachers aren’t alone – we frequently read the stories at the beginning, the stories at the end, and consider it done. Or we open to certain commands or promises without knowing the context that give them meaning. But no part of a book can be understood if we skip over 90% of it. The parts we do read will be grossly taken out of context. We cannot possibly understand the story, message, or meaning this way. To remove Jesus from his Jewish culture and identity is an old and dangerous heresy; or to put it another way, a certain dead end for understanding and following him. Christians are by definition the followers of Christ. But “Christ” was not his name – it is a title full of meaning for the ancient Jews, infused with centuries of longing, suffering, and theological contemplation. As Christians we believe that Jesus of Nazareth was fully God and fully man, and the “man” he was fully was an ancient Near Eastern Jew. His scriptures were the Hebrew scriptures, and his followers believed that he was the embodiment, culmination, and fulfillment of these scriptures. We cannot possibly understand his words, actions, or identity without seeping our own consciousness into the Hebrew scriptures. When we modern Christians do read the “Old Testament,” one popular way to go about it is to see it as a scavenger hunt for Jesus. 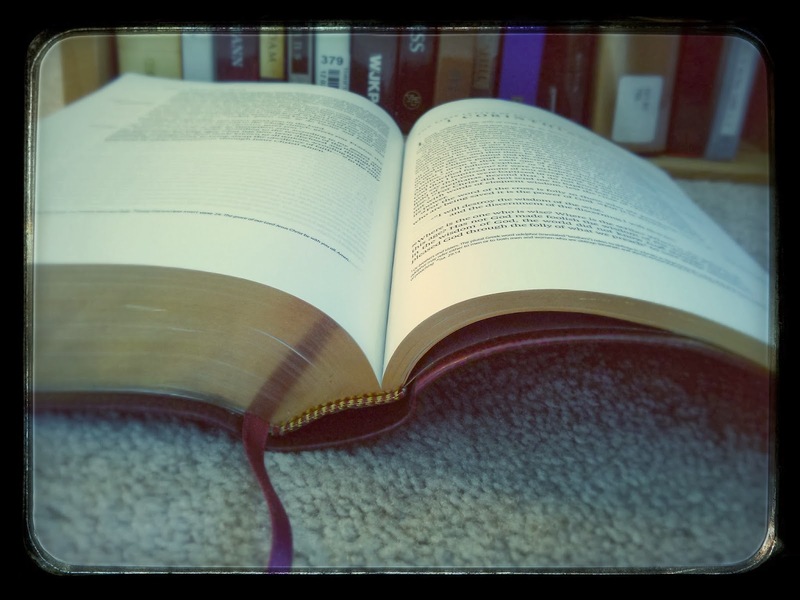 Where do we find Christ in these writings? On one hand, this is very appropriate – the very earliest Christians themselves went back to the ancient books, as Jesus instructed them, in order to make sense of them through the revelation of Christ, while likewise making sense of Christ through the words of the Law and Prophets. But for us, it can be a dangerous shortcut. The early Christians knew what we call the “Old Testament” inside and out Jewishly. It was from this understanding that they met and made sense of Jesus, and from there that they re-read and made sense of the Scriptures. Today, far removed from ancient Israel, we learn of Jesus and then go back to read the Hebrew Scriptures. We can’t really avoid doing it in this order, but it is important to acknowledge that it impacts our understanding. If we are to grasp who Jesus was we must attempt to hear this amazing 1350 page story as it sounded to Jesus and his Jewish peers. And so, I go back to the beginning not only for the sake of studying Judaism, but as a Christian as well. Next time, I promise to actually open up the book. Are you coming with me? If you’re interested in reading the rest of this series, you can find more of it here.